One of the perks of becoming a huge rock star is the ability to afford some of the best real estate in the world. Most bands who make it big spend half their lives on the road. It is no wonder that when touring season is over they want a sweet pad to put their feet up and relax among the lavish decor until it’s time to start working on more music. We’ve found a few Rock Star homes that prove if you make it, life can be awesome. We’ve got some newly purchased homes, current homes and homes that could be yours for the right price. 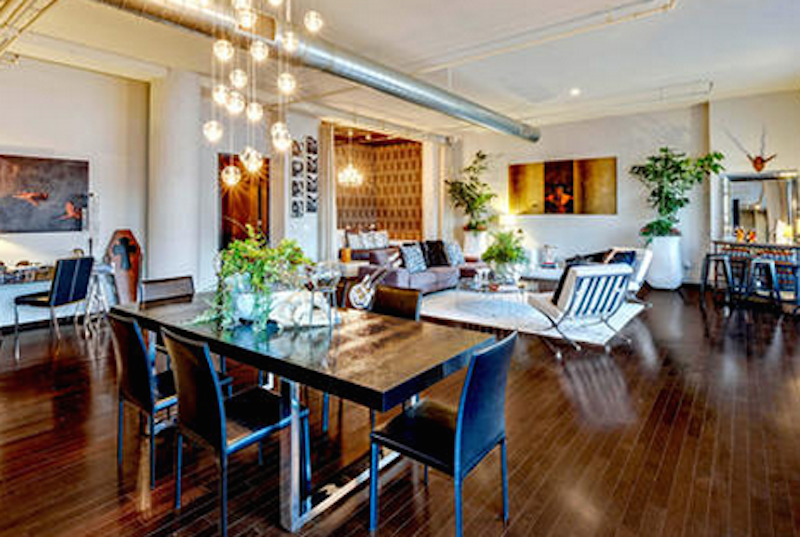 Dave Navarro’s Hollywood loft went up for sale last year. The loft space is located on the corner of Hollywood and Vine. The price tag was just under a million dollars. The 1570 square foot space is considered modest, but for a bachelor pad surely it is enough. The loft is in the Broadway Hollywood building and has amazing views of the Hollywood sign and Capital Records, historic landmarks in Los Angeles. The loft was originally bought in 2007 on the heels of his break up with Carmen Electra. The space was decorated by interior decorator Heidi Toll. His bedroom has a custom vinyl platform bed with privacy drapes. It also has blackout curtains to accommodate the sleep all day rock star habits. Jay-Z and Beyonce are rumored to be looking at properties in New Orleans. One, in particular, is a renovated Presbyterian church turned home. The rumor mill claims the couple just purchased the 13,292 Sq. Ft home located in the Garden District of New Orleans. 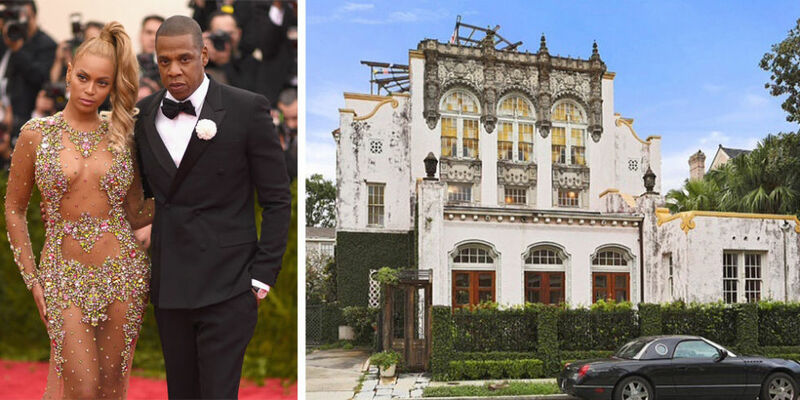 The home was listed for a mere $2.6 million-chump change for King J and Queen Bey. Beyonce’s sister Solange co-owns a boutique in the French Quarter called Exodus Goods. 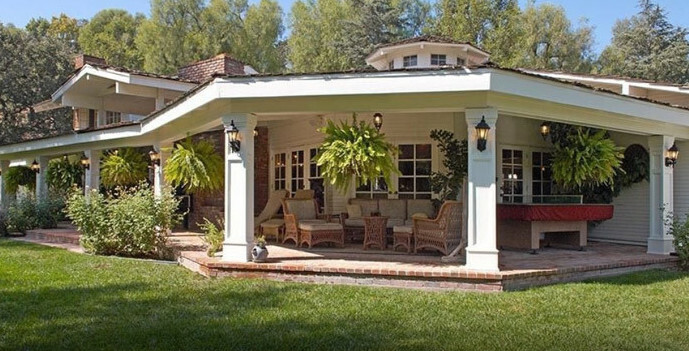 News is Miley Cyrus is now the proud owner of a horse ranch in Hidden Hills, California. The 5.5-acre ranch was bought for $4.037 million. The property also has a vineyard that produces Cabernet Sauvignon and Merlot. There is also a wine cellar. The ranch is an impressive 6500 Sq. ft home with a 1o stall barn for her yet to purchased horses. There is also seven bedrooms, six bathrooms, rustic elements, and a much desired wrap-around porch. Not every rock star goes the ostentatious route when it comes to real estate. 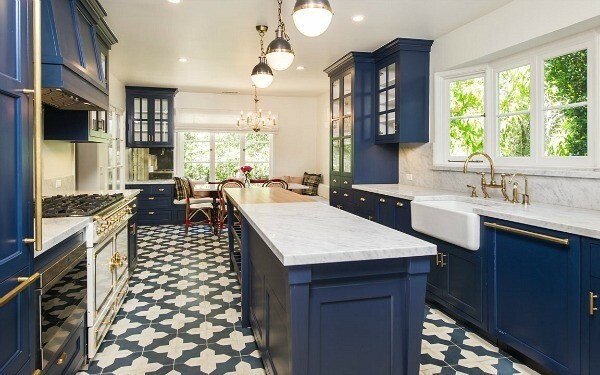 Newly engaged, Zooey Deschanel just put her bachelorette mini-estate on the market in Hollywood. The Mommy-to-be is asking $2.195 million for the home. The estate is a 3000 Sq. Ft. house with a guest cottage in the backyard rather small in comparison to some of the lavish homes rockers are known to own. The singer purchased the home that once belonged to Mark Ruffalo for $1.69 million six years previously. The 1930’s home houses three bedrooms and three and half baths, and a chef’s kitchen with a breakfast nook. Dr. Dre’s house is undoubtedly impressive. The millionaire rocker has made some sweet change during his career with his extraordinarily successful Beats By Dre, and his highly successful career as a rapper. He recently sold his Hollywood Hills mansion. We still get to see how his lifestyle by exploring the home he once lived in. Dre bought the estate in 2012 for $15.4 million which he recently sold for $32.5 million. The six-bedroom house with nine bathrooms has an infinity pool and amazing views of Los Angeles. It took awhile, but Jon Bon Jovi was finally able to sell his Manhattan home after two years of trying and a few price drops. Don’t feel badly for the rocker though, he still walked away from the sale with $13.5m profit in his pocket. The two-floor apartment was first listed at $42 million. 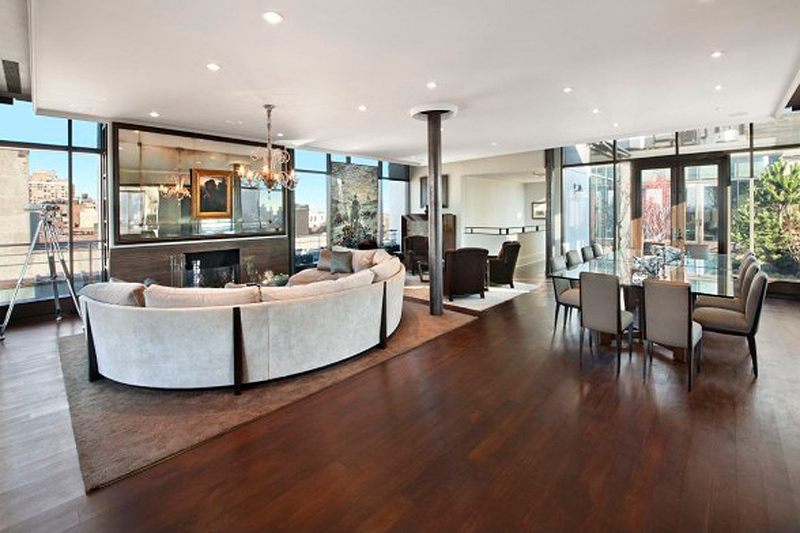 Bon Jovi ended up selling the Mercer St. pad for $37.5 million. He originally bought the place for $24m in 2010. The 7452 Sq. ft. The apartment has six bedrooms, a chef’s kitchen, and 11 ft. ceilings. It also has a screening room and three separate viewing decks. Bon Jovi finally sold the apartment to Austrian-American business man Gerhard Andlinger.